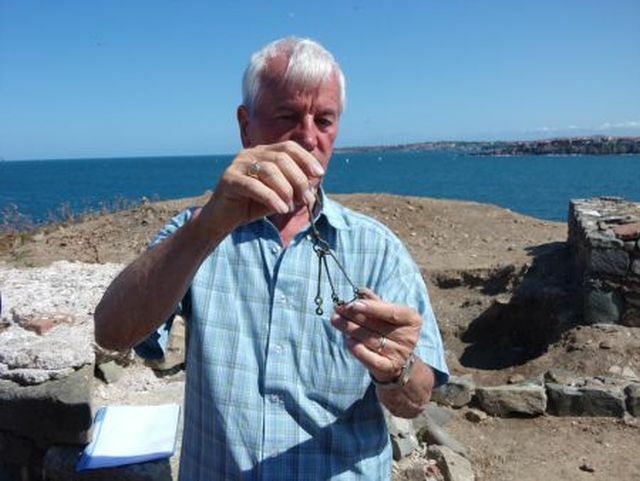 An Early Christian tomb of a senior clergyman, possibly the Father Superior of the monastery, has been discovered by Bulgarian archaeologist Prof. Kazimir Popkonstantinov on the St. Ivan (St. John) Island off the Black Sea coast near the town of Sozopol, where in 2010 he found relics of St. John the Baptist. 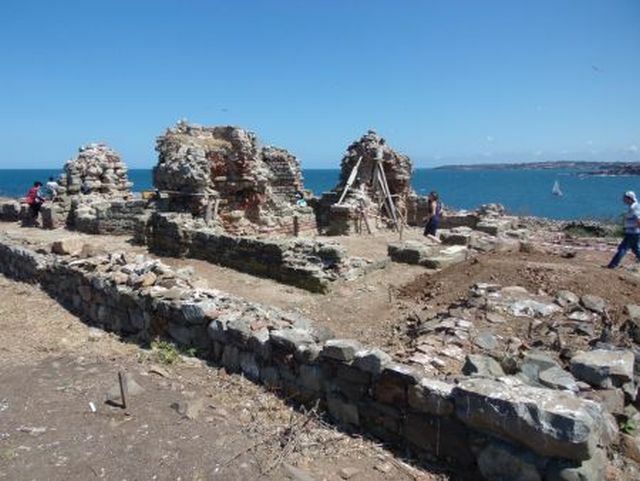 The newly found tomb is located near the northern part of the altar of the Early Christian basilica on the St. Ivan Island which was part of the St. John the Baptist Monastery, reports local news site BurgasNews. The tomb is dated to the period when the basilica was constructed – the end of the 4th and the beginning of the 5th century AD. At the time, Sozopol and the St. Ivan Island were territory of the Eastern Roman Empire known today as Byzantium. The newly found tomb has been opened in the presence of journalists and reporters who were specially invited for the purpose. Unfortunately, it has turned out to be empty – the remains of the senior Early Christian clergyman who is believed to have been buried there have not been found inside. However, Popkonstantinov has found a chain used for holding a sanctuary lamp (altar lamp) – an artifact that confirms his supposition that the tomb belonged to a senior Early Christian priest – as well as fragments from the actual lamp. It is even possible that the tomb contained the body of the first Father Superior of the St. John the Baptist Monastery. The sophisticated architecture of the tomb is also seen as evidence that the man buried inside it was very important. “For the field of archaeology this tomb is a major discovery because it is found in this monastery. It shows how the monks were buried. The tomb is 2 meters long and 1.3 meters wide meaning that the buried man was tall. The monks were modest and probably buried him only in his cassock, and possibly with a cross," the archaeologist explains about his new find. “We are confident that a [senior] clergyman was buried here because of the discovery of the chain of an altar lamp, which definitely dates back to the 5th century AD. The most interesting thing is that the tomb was built next to the northern part of the basilica. In the 5th century, the monks had a custom of building their own graves while they were still alive. We have also found other tombs such as the tombs in [the Bulgarian capital] Sofia but they are of a different type, while this one is located under a monastery. It reflects burial practices. This discovery is a contribution to Bulgarian archaeology and to Christian archaeology as a whole," Popkonstantinov adds. 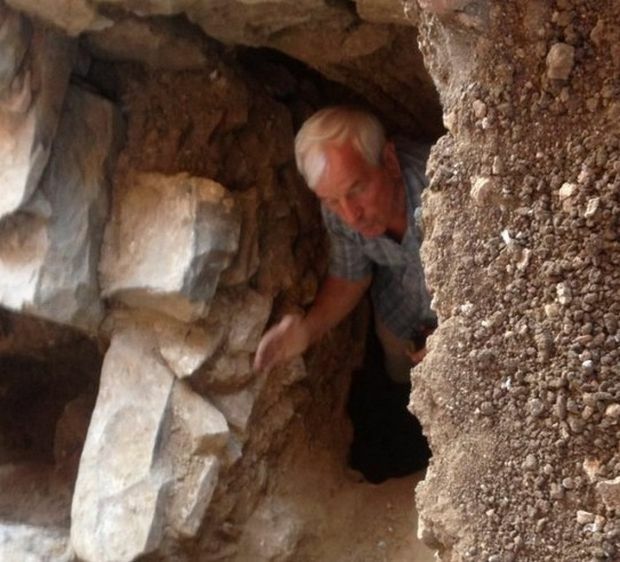 In his words, the location of the tomb is further evidence that it may have belonged to the first Father Superior of the St. John the Baptist monastery. “When the Farther Superior who is the founder of a monastery passed away, he would be buried either to the north, or to the south of the temple," he says regarding the funeral customs of Early Christian monasteries. The archaeologist believes that the remains of the senior clergyman who was buried in the tomb were probably moved somewhere else in the Early Christian monastery, and hopes to find them as he continues his excavation on the St. Ivan Island. In his words, at some point of the reconstruction of the monastery, the tomb was in the way because there is a 2-meter tall wall fencing it off in order to support further construction. “Apparently, the monks removed the remains of the clergyman, and re-buried them somewhere else in the monastery. We may be able to discover that place," Popkonstantinov hopes. He points out that monastery customs provide for the reading of prayers and the lighting of a sanctuary lamp every day at the place of the tomb. “We have found the chain and a number of fragments of that sanctuary lamp which seems further evidence for our opinion that here the monks would indeed honor their Father Superior here," Popkonstantinov concludes. 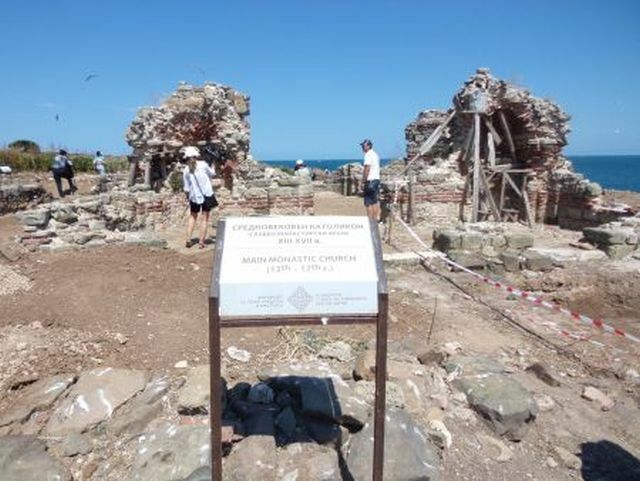 After the opening of the newly found Early Christian tomb, archaeologist Kazimir Popkonstantinov has told the reporters that between 100 and 300 tourists visit the ruins of the Early Christian monastery on the St. Ivan Island every day to see the place where the relics of St. John the Baptist were found.